The Visitors Guide serves as Elgin Area Convention & Visitors Bureau’s (EACVB) main distribution piece. 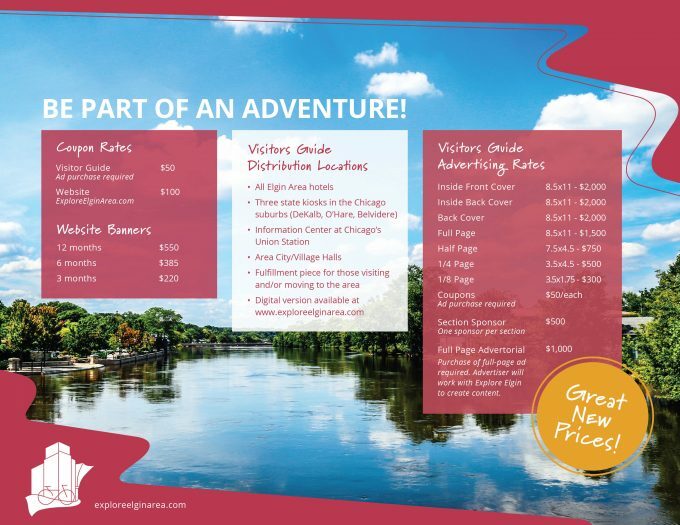 When visitors and area residents call for information the Visitors Guide is sent out as a way to introduce them to the community. When members of the EACVB team attend conventions they bring the piece to highlight attractions in the Elgin Area. New for 2019 the Visitors Guide will focus on organizing business listings in an itinerary format. This will better show the area to visitors who need more than just an address to decide to stop at a business. We also dropped the prices of ads! 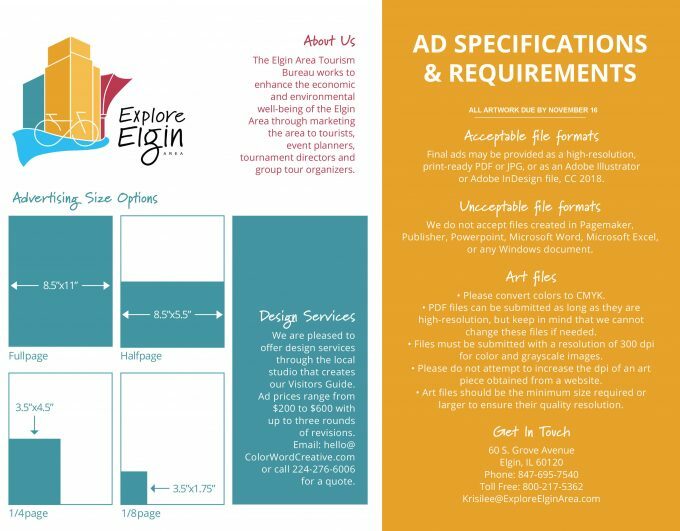 We want to sure that more small business owners are able to get their business in front of the thousands of visitors that come to the Elgin Area every year. If you would like to sign-up or get more information please email Krisilee at Krisilee@ExploreElginArea.com.